Big data is having a big impact on just about everything these days, to the point where not including data analysis in business strategy is flat out neglectful. Nowadays success is often less about who you know and more about what you know – specifically about customers and their habits, the factors influencing sales and subscription numbers and other useful connections. Running a data driven enterprise just makes sense, and companies are climbing aboard the big data train in droves. It seems to be paying off, too. One global study released by CA Technologies showed that 90% of firms mining big data are seeing benefits and many experts believe that all industries can and will benefit from data collection, analysis and interpretation. Wireless carrier T-Mobile, in particular, is proving those experts right with a 50% reduction in churn rate thanks to its data driven approach to customer and campaign management. The telecomm industry is well placed to collect massive quantities of data because everything customers do, from who people call and for how long to their internet usage, is recorded. It’s possible to collect thousands of data points across millions of customers. 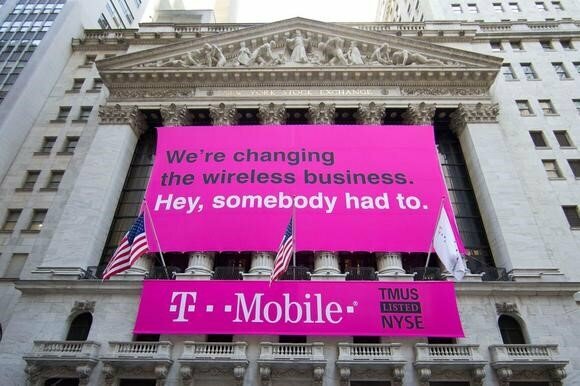 But only T-Mobile has creatively used that information to achieve measurable successes like the aforementioned notable reduction in user turnover. The company began by consolidating subscriber and network data and then using several new tools to search and analyze its ongoing findings. Every single data point T-Mobile collects can be found in one of six zones – three of which are specific to users of the carrier’s services and products. The customer data zone offers a fully fleshed-out view of each customer. The customer experience zone tracks how and why customers interact with the company. And the product and services zone looks at which offerings are used by whom and when. It sounds complicated but in reality simply gives T-Mobile a way to stay on top of things like usage trends by region, customer service inquiry patterns, purchases by location and customer lifetime value. Thanks to big data, the carrier knows which of its customers have strong social networks and the ability to influence others’ telecomm choices. It can identify those influential customers and give them perks. When it comes to customers who aren’t having a top shelf experience, T-Mobile responded to 4G data overages by offering some data for free for tablet users and is able to quickly offer customers in limited coverage areas a free femtocell or even a new phone. How does all that stop churn? Let’s say T-Mobile identifies a highly influential customer using a Galaxy Note5 and possessing a strong social network – the carrier can see that this customer has moved to a new home and is getting more dropped calls than usual. More of the customer’s texts are going to numbers serviced by other providers. That and more goes into an integrated profile that offers retailers and agents a quick overview of the customer’s actions, preferences and even opinions about the company. End result: An agent reaches out with a femtocell and a bill adjustment before the customer has thought about complaining. It’s that kind of tailored approach to customer care that lets T-Mobile respond proactively to not only customer concerns but also customer sentiment. Loyal customers get perks without asking. Potentially dissatisfied customers get fixes (again without asking). Big data is the closest thing to a crystal ball that T-Mobile has in its tool kit and based on the numbers, it is using it well. How well? The company added 2.1 million customers in the second quarter of 2015, in its ninth consecutive quarter where it added more than 1 million customers. This summer T-Mobile bumped Sprint out of its spot as third largest telecomm company, and now thanks to T-Mobile’s clever use of big data AT&T might just be the next giant to fall.